If you need a pergola builder, you are in the right place. We serve both residential and commercial customers and build custom pergolas of various shapes and sizes. There are two main types of pergolas. You can choose from a gable roof pergola or a flat skillion roof pergola. They can be built in any shape and size you want, ranging from a small structure to shade a doorstep to a very large pergola to cover large patios or walkways. Our skilled pergola builders can do custom work to make sure your pergola is exactly like you want it to be. 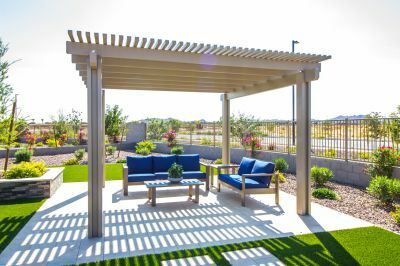 They will show up on schedule and install a pergola you will absolutely love. We offer all types of pergola services including installation, repair, painting, and staining. We want you to be fully satisfied with our services, and your complete satisfaction is our top priority. All you need to do is fill out our short contact form, briefly describe your pergola needs, and we will get back to you right away with a free custom quote. Pergola Installation - Select your State.